Surf School Is In Session For Spring Break! The SURF SCHOOL will be in session . Class size is limited to 12 students for each day. RESERVE YOUR SPOT TODAY! The cost is $60 per day. Each student should bring a bathing suit, sunscreen, and lunch. Beverages will be provided throughout the day. Wetsuits will be provided if needed (water temp is expected to be a comfortable 72 degrees, but could vary) .Â Surf School Rashguards will be provided during the session and available to purchase for an additional $25. 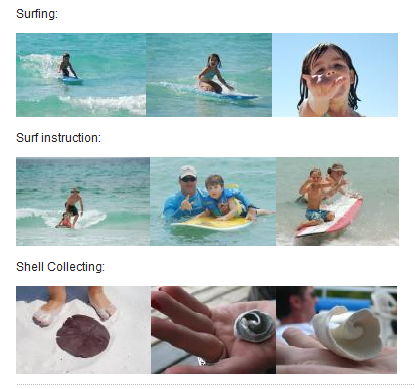 Our SURF SCHOOL is an educational program for children ages 6-12. The program is open to boys and girls who are good swimmers and love the beach.Â Designed to be way more than just a surfing lesson, your child will learn how waves are formed, whatÂ turtles eat, how to spot a rip-current and more….all while having a blast at the beach ! With the exception of severe weather, this event will run rain-or-shine.Â In the event of complete calm seas, stand up paddle boarding may be substituted for surfing instruction.Â In the unlikely event of dangerous seas, water activity may beÂ canceled Â while land based activities proceed.Â In this case, Â alternative dates for group lessons will be offered and/or discounted rate individual lessons offered. This entry was posted in Adventure Blog, Adventure Info, Announcements, Events, Kids Programs, Stand Up Paddle, Surf Lessons, Surf School on April 13, 2009 by Mike Sturdivant. Blue Mountain Surf offers Kids Programs designed specifically for kids. Individual, group, and family adventures are available. This entry was posted in Adventure Info, Kids Programs on February 12, 2008 by Mike Sturdivant.